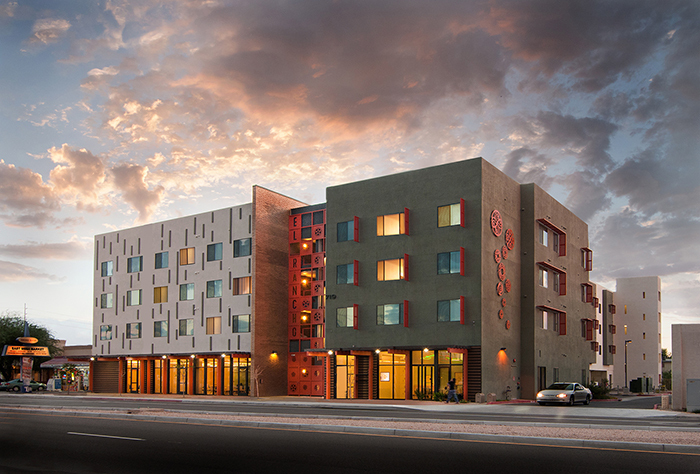 62 units of affordable family residential units in 3 stories over a concrete podium parking structure. 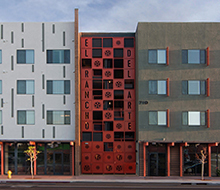 Community spaces are located at the street level creating a mixed-use feeling and will be used for a public art program. 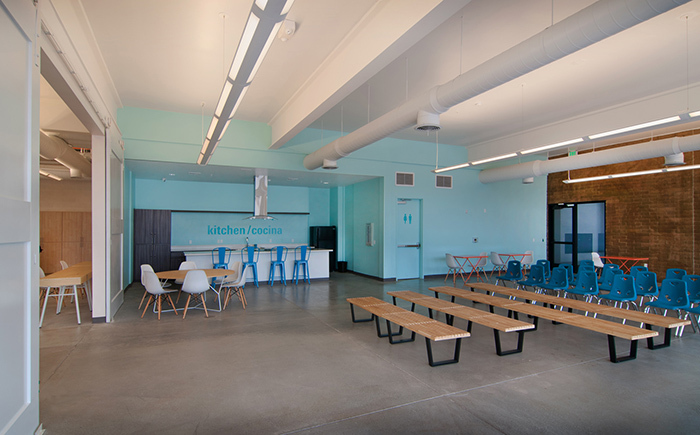 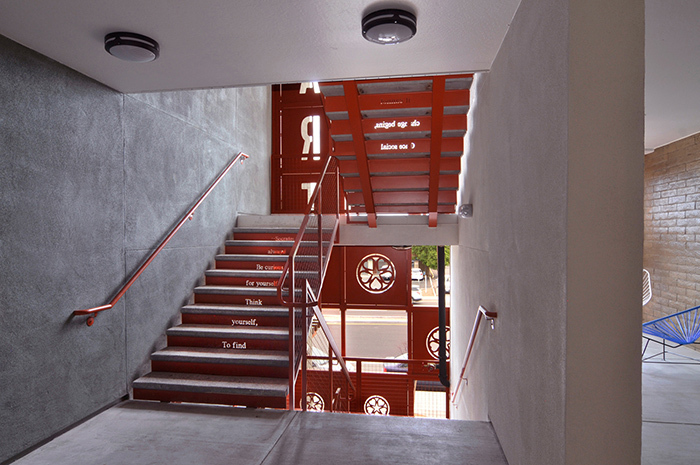 The building is a series of simple masses that are bisected by a heavy mass spine wall which also acts as the entry way to the central courtyard community space. 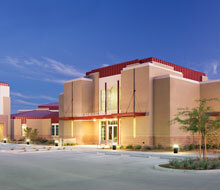 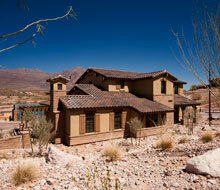 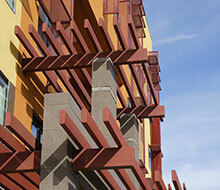 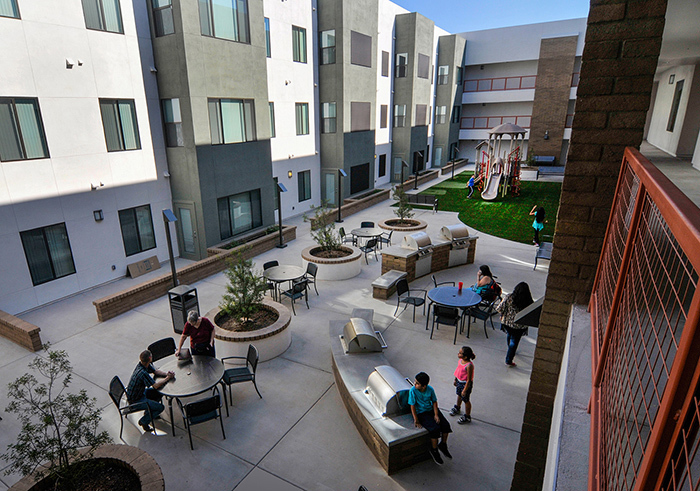 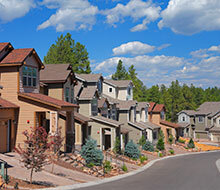 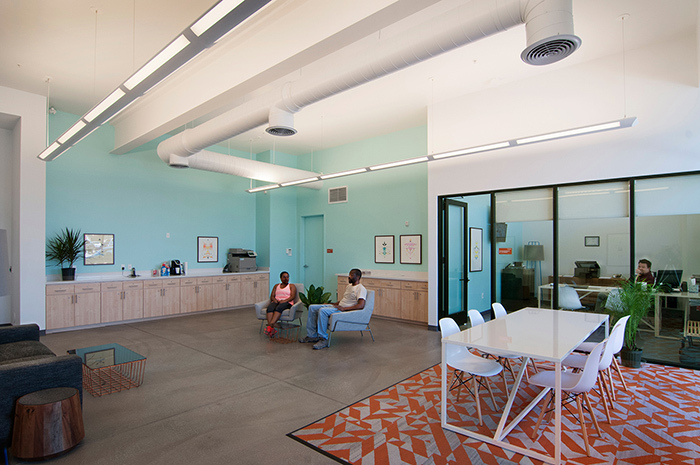 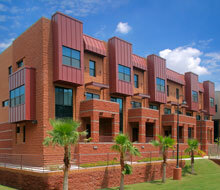 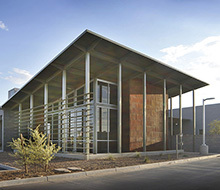 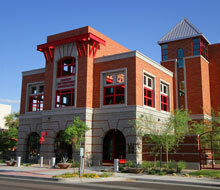 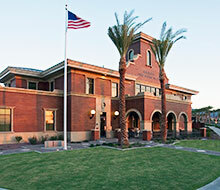 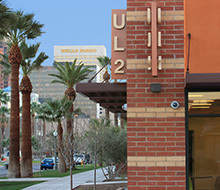 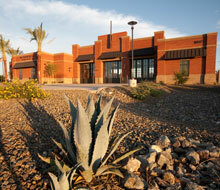 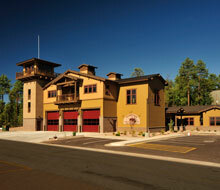 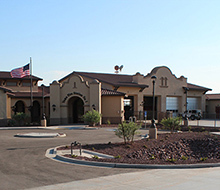 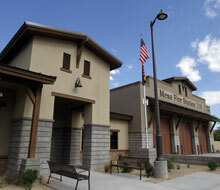 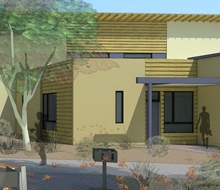 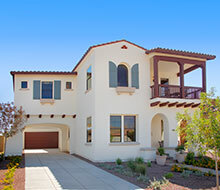 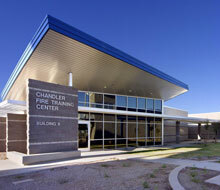 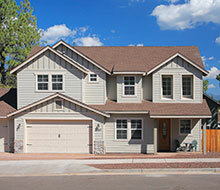 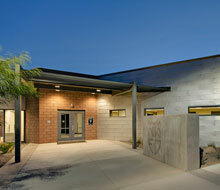 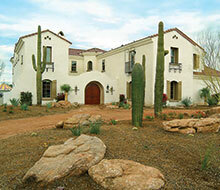 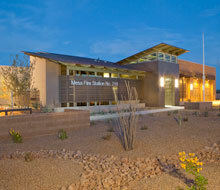 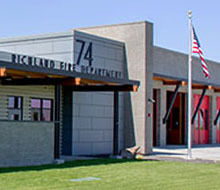 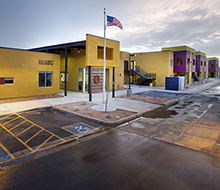 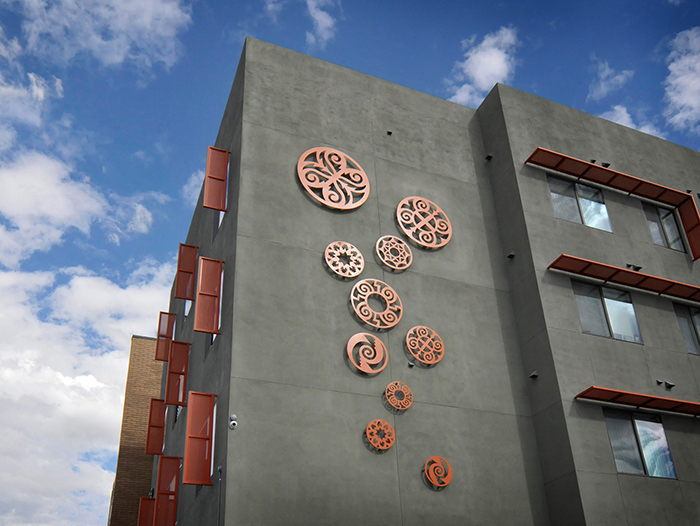 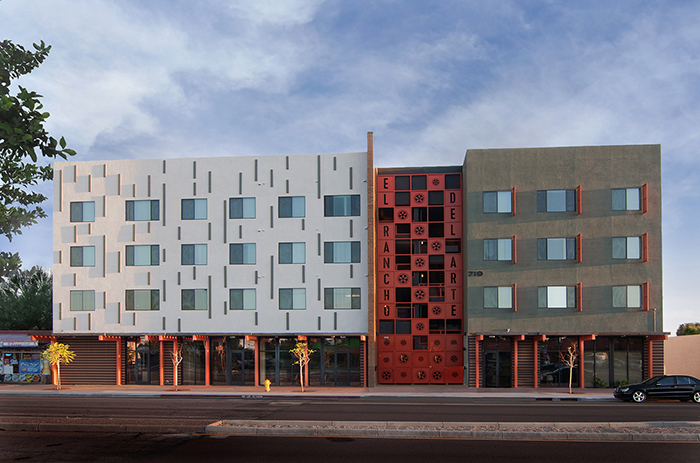 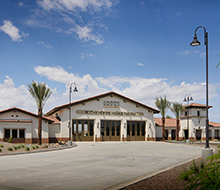 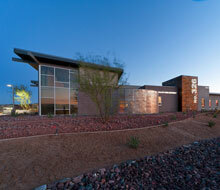 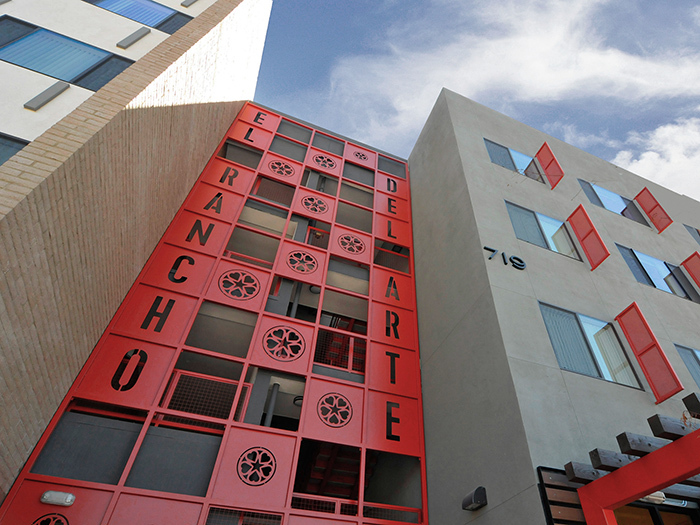 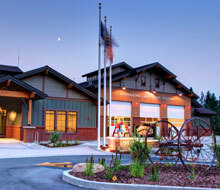 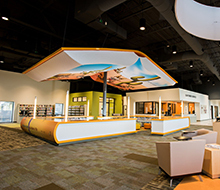 El Rancho is one of the first Form Based Zoning projects in the City of Mesa.